Ovation of the Seas took its maiden voyage in April as the third Quantum class luxury cruise liner from Royal Caribbean International to feature an onboard Elation Professional lighting and video system. 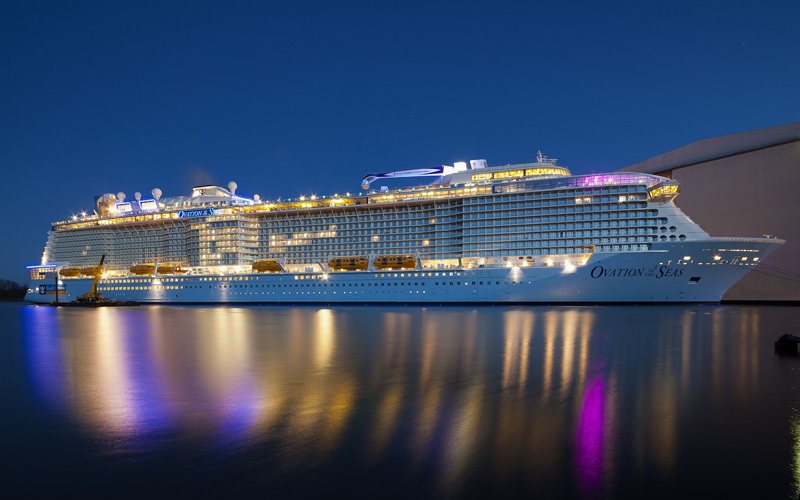 It follows the successful launch of Quantum of the Seas and Anthem of the Seas, both of which sail with a full complement of energy-efficient Elation Professional products. Ovation of the Seas boasts the same lighting and video package template as the previous two Quantum class ships, says Christopher Vlassopulos, Superintendent SLVR & Architectural Lighting for Royal Caribbean International. Christopher coordinated the design and specification for all the entertainment equipment in all three Quantum class ships’ public spaces, including the entertainment lighting systems. 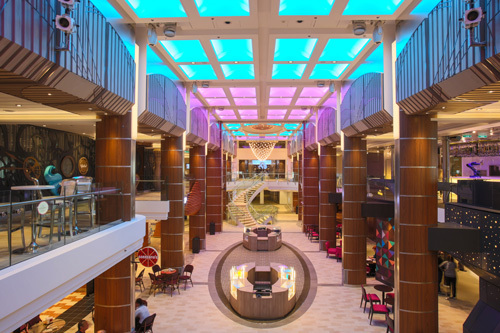 Christopher specified and designed lighting for the entertainment spaces on Ovation of the Seas together with Benjamin Couling of Tristwell Solutions, the company responsible for installation and commissioning. Built at Germany’s Meyer Werft shipyard, media and entertainment system integration for many of the public areas was provided by Amptown System Company (ASC), including system engineering, supply, installation and commissioning. Ovation of the Seas, which holds up to 4,180 guests, will sail the Chinese seas with a homport in Tianjin, China. The ship features Quantum Class amenities, including the North Star capsule which soars above the ship, a skydiving experience and onboard bumper cars to name a few. The hallway of Ovation of the Seas illuminated with Elation LED lights.